Tom Saine, the ultimate family man and passionate traveler, passed away on August 30, 2018. Tom was born in California on July 3, 1962 to Wilhard Saine and Mildred (Hill) Saine. He lived in Toledo, OH with his wife Carolyn Nowakowski. Tom proudly served in the United States Navy, where he spent time in places like Turkey and Italy and met Lynne Strelzick. After a few delays caused by uncooperative submarines that kept getting sent out on new missions, Tom proposed to Lynne in Sicily and the two were married in Lynne’s native New Jersey in 1983. The couple went on to have two daughters, Jamie and Irene, whom they loved unconditionally. Tom made many friends and touched countless lives while raising his girls in New Jersey and Fort Worth, TX. Following the passing of his beloved Lynne, Tom remained dedicated to his daughters and found love again in 2013 when he met Carolyn Nowakowski at the wedding of his youngest daughter. 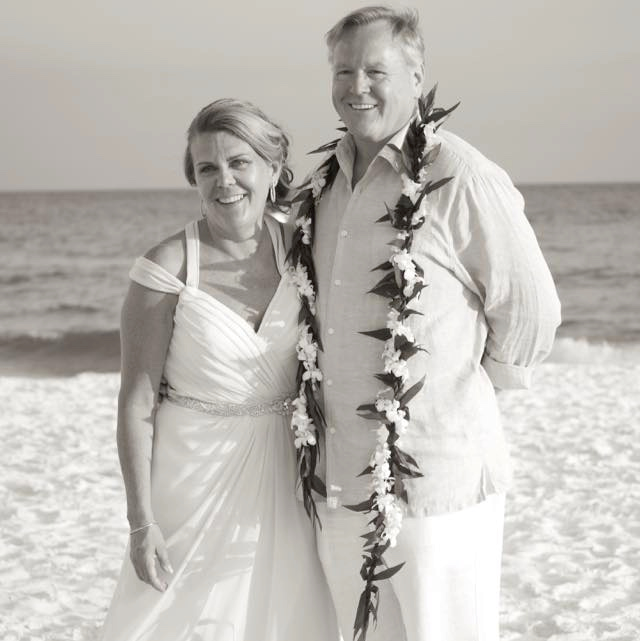 Tom and Carolyn were married in June 2015 in a beautiful beach ceremony. They spent their lives together traveling the world, eating good food, drinking great wine, spending time with the family and friends who they loved so much, raising Carolyn’s son and daughter, and playing with their new grandbabies. Tom spent his career in telecommunications, where his dedication, intelligence and keen business sense helped him become a respected and well-known executive. In this role, he impacted many companies, but more importantly, he helped shape careers and was always quick with a word of advice, encouragement or tough love. He and Carolyn passed together while doing one of their favorite things – traveling to a beach vacation. Their families and countless friends will love them forever. Thomas Saine is proceeded in death by his wife Lynne (Strelzick) Saine and joined in death by his wife Carolyn Nowakowski. He is survived by his loving daughters Jamie Saine and Irene (Saine) Frosch; their husbands Tony Kent and Alan Frosch; granddaughters Thea and Charlotte; step children Connor and Halie; and many, many, many loving family and friends. Visitation will be Friday, September 7, 2018 2pm-8pm at Reeb Funeral Home in Sylvania, OH. A funeral mass will be held at 10am at St. Joseph Catholic Church in Sylvania, OH. A private interment will be held. In lieu of flowers, please make donations to the American Cancer Society in Tom’s honor.